Debt-laden Reliance Communications Sunday accused Swedish telecom gear maker Ericsson, which is an operational unsecured creditor of the company, of attempting media trial and sensationalising the issue of dues recovery, saying it might put interest of even secured lenders at risk. The Anil Ambani-led telecom firm, however, said it remains committed to clear dues of Ercisson from spectrum realisation. However, the approval for the same is pending with the government. "It is deeply regrettable that Ericsson India Private Limited (Ericsson), an operational unsecured creditor, is attempting a trial by media and sensationalising issues, as evidenced in recent media reports," RCom spokesperson said in a statement. 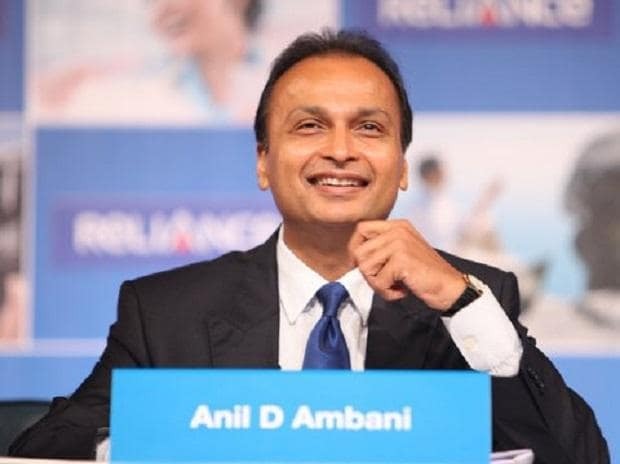 Ericsson India Friday moved the Supreme Court seeking initiation of contempt proceedings for the second time against Reliance Communication chairman Anil Ambani for allegedly not complying with its order to clear dues of Rs 550 crore. Besides seeking contempt proceedings against the RCom chairman and two others, Ericsson has also sought that they be "detained in civil prison" unless they purge themselves by making the payment. RCom spokesperson said no notice on recent contempt petition filed by Ericsson, as referred in media reports last week, has been served to it till date and alleged that the Swedish firm is widely sharing the matter with the media and distorting issues. "Needless to say, the Hon'ble Supreme Court has not even considered the matter till date. Ericsson's conduct as an unsecured creditor gravely endangers and is at the cost of secured lenders comprising 38 banks and secured creditors including 17 public sector banks and 13 foreign banks," the spokesperson said. The crisis-ridden telecom services firm has a debt of over Rs 47,000 crore. RCom said it has taken all required steps towards enabling the settlement and remains fully committed to make the payment to Ericsson from the proceeds of the spectrum sale. "The Department of Telecom (DoT) approval is pending since August 7, 2018, for which RCom has moved a contempt petition against DoT before the Supreme Court which is listed on Monday, January 7, 2019," RCom spokesperson said. Last year, RCom signed a pact with Reliance Jio for the sale of wireless spectrum, tower, fibre and media convergence nodes assets -- the proceeds of which were to be used to pare debt. Both RCom and Reliance Jio are learnt to have approached jointly the telecom ministry seeking clarification on the stand of the government over their spectrum trading deal. In a letter to the DoT on January 3, Jio cited petition of RCom before telecom tribunal TDSAT showing that the petitioners, who are the sellers, have retained the liabilities upon themselves.